Indian Digital Club (IDC) is one of India’s largest online integrated communities for current and aspiring digital marketing professionals. It’s your free online hub for learning, discussing industry-related news, and networking. Apart from being a vibrant community, IDC offers and exchanges digital marketing learning knowledge on a large scale basis amongst different level of digital marketing professionals from fresher or experienced to experts’ level. 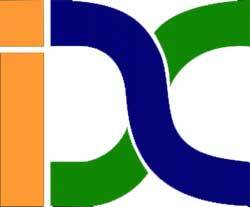 IDC was formed on April 11th, 2017 on Facebook with one simple goal to unite all digital marketing enthusiasts in India that brings together all of the digital marketing opportunities through a enthusiastic marketplace and work opportunities for individuals, agencies, enterprises and stakeholders, besides supporting users to make the maximum of these opportunities through an ever updated resources base including researches, indicators, guides, articles and videos. At the moment, the group counts more than 6,000 active members organically grown and is the perfect place for learning, discussing digital marketing news, and networking. So far, we’ve welcomed top-notch 10 digital marketing experts & high-tech professionals who love sharing tips and tricks to help you grow as a professional and their counts are already increasing on per day basis. Connect & Engage: Expand and grow your professional network and join the largest gathering of the Digital Marketing industry. Achieve: Reach your professional goals, expand your network & connections and get hundreds of job opportunities with the first cohesive community for Digital Marketing professionals. Access Data: Get all the knowledge you need in one community! Find the latest reports, guides, indicators, and events with the largest online library for all the trusted foundations in the Digital Marketing industry. A pioneer in the digital age, IDC helps our community like-minded members navigate the unknown, drive change and generate value through a unique amalgam of technology, creativity, and innovation at our core. Motivated and inspired by what’s next, our lively community remains keen to staying ahead of the recent trends as our members amend to new technologies, new marketing techniques, and a changing marketplace and leading them into a future in which their personal growth/development, career or business will thrive. You might be struggling with your marketing professionals to achieve success, but you are not alone. With other marketers becoming indirect help, such communities can ease up the challenges and help you discover new ideas to explore marketing success.